Do you want to use marble as the major part in your home construction and your garden? It is a good idea because marble enhances the overall look of your home. You can use marble in different ways. Using this marbles in several ways will give more classic look to your garden and home. Some of the ways in which you can use the marble pieces are listed below. You can use the left out marble in your miniature terrarium by making it in to small pieces of various shapes. You can use marble gravel as the base for your terrarium plants. Terrariums with marble are decorative pieces and look more beautiful. So, use those small pieces of marble in your terrarium. Aquarium generally has the base containing various stones and among them marbles is the leading one. Marbles come in various colors, sizes and shapes. You can use them as the aquarium base were you can add small plants and decorative pieces in your aquarium. Aquarium is incomplete without stone and especially the marble pieces. Marble gravel or marble stones can be used in the garden pathways which enhances the look of the garden. You can use the marble gravel on the sides of pathway or else as the marble stepping stones or for flooring the pathway with marble. 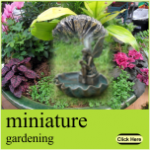 Use marble pieces in your indoor or outdoor containers especially in the miniatures. Along with the other decorative pieces in the miniature pots marble also has the major position. Especially the indoor miniatures can add more of decorative touch to the home. Marble stones can be added in the fountain base or in your waterfall. This makes your waterfall pleasing among the other stones. If you are worried of huge amount of marbles that is left out in home construction then, with the help of a sculptures maker you can make a small fountain for your garden. Swimming pool is the ornamental feature of your garden and you can enhance its look using marble. Add the marble gravel stones in your pool or its surroundings and give it a beautiful look.